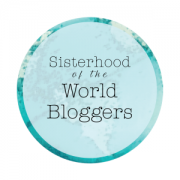 I am incredibly privileged to know some amazing people across the globe. When I think about the people I have met and the stories we have swapped, I cannot help but smile. A fuzzy feeling warms me. 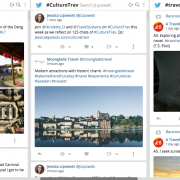 In January 2015, I become a permanent host for #TRLT and #CultureTrav, two travel-related Twitter chats. How did I get involved with these two communities in the first place? Let me fill you in on the back story. When I moved to Amsterdam in February 2011, I worked for a company called Azavista. Azavista is an online platform that connects group travel and event planners with hotels. Travel has always been a big part of my life, but working for this IT start-up was my first exposure to the business world of tourism. Naturally, Azavista is involved in the MICE industry (Meetings, Incentives, Conferences, and Events), but still, I wanted to stay up to date with the latest travel trends. As I worked in sales and marketing, one of my responsibilities was social media. 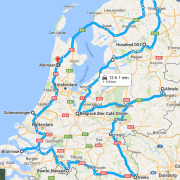 Aiming to establish brand awareness, I got involved with #TTOT (Travel Talk on Tuesdays). I joined representing Azavista, but also myself, Jessica Lipowski. Once I started writing for USA Today and became the Amsterdam local expert, I continued building my social media presence. That’s how I met Savannah Grace. 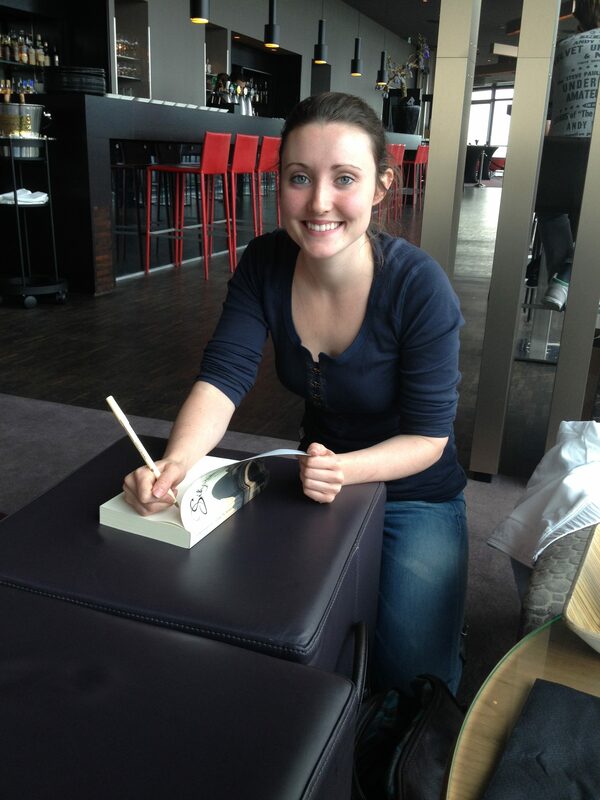 Savannah, a fellow author and expat, is the very first person I met from the online world. We realized we were both based in the Amsterdam area and shared common interests, so we met up at the DoubleTree by Hilton at Amsterdam Centraal Station. We hit it off immediately. From that day on, I knew I found a lifelong friend. 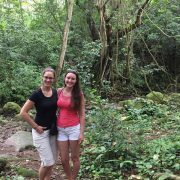 But Savannah introduced me to the world of #TRLT, which then led me to #CultureTrav, which then led me to meeting new friends from every corner of the world. It’s hard to explain the connections I’ve developed, but it makes sense, when you think about the fact that we all share common interests. We love to travel. Most of us love trying new foods, immersing ourselves in local culture, making connections, and more. You start sharing stories and realize you are not alone. The people I’ve met through these communities understand me. We get each other. 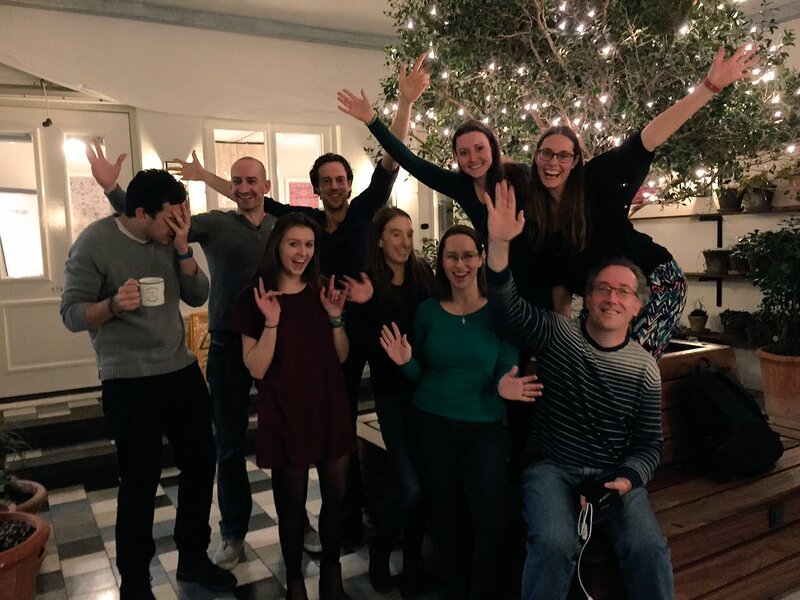 And I’ve had the unique opportunity to meet up with many of the #TRLT and #CultureTrav communities in person, whether in Amsterdam, Utrecht, Detroit, Chicago, or Switzerland! 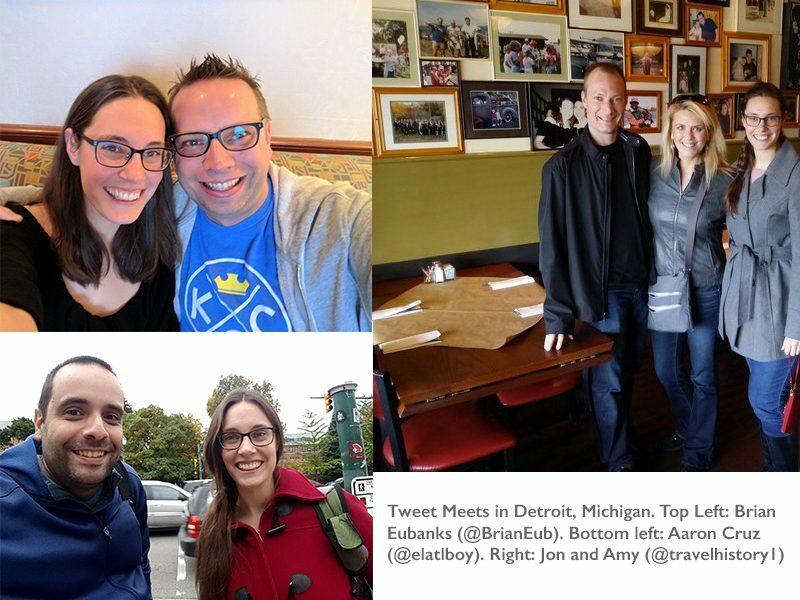 I love hosting tweet meets and bringing people together. 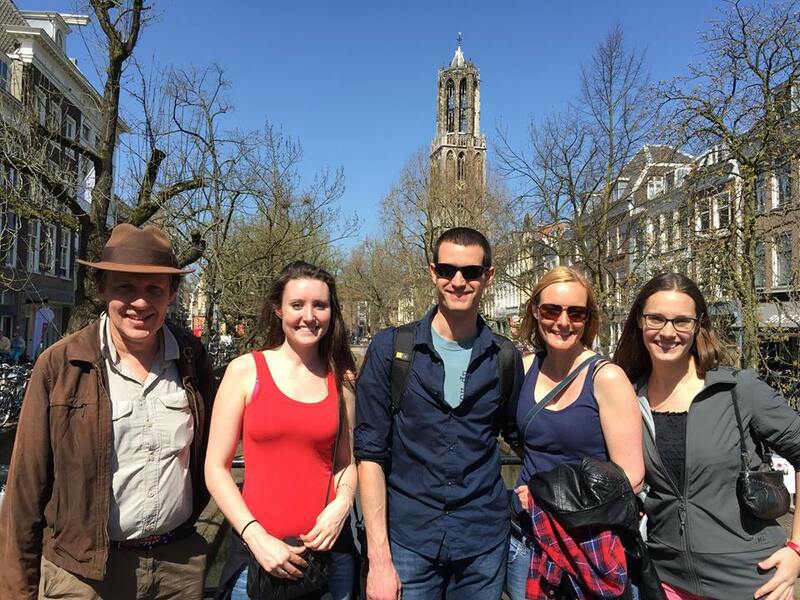 Shane Dallas (@TheTravelCamel), Savannah Grace (@Sihpromatum), Martijn Swarts (@MartijnSwarts), Antonette Spaan (@we12travel), and me in Utrecht. Left: Maria Berz (@GlobalBrunch) at Bakers in Roasters in Amsterdam. 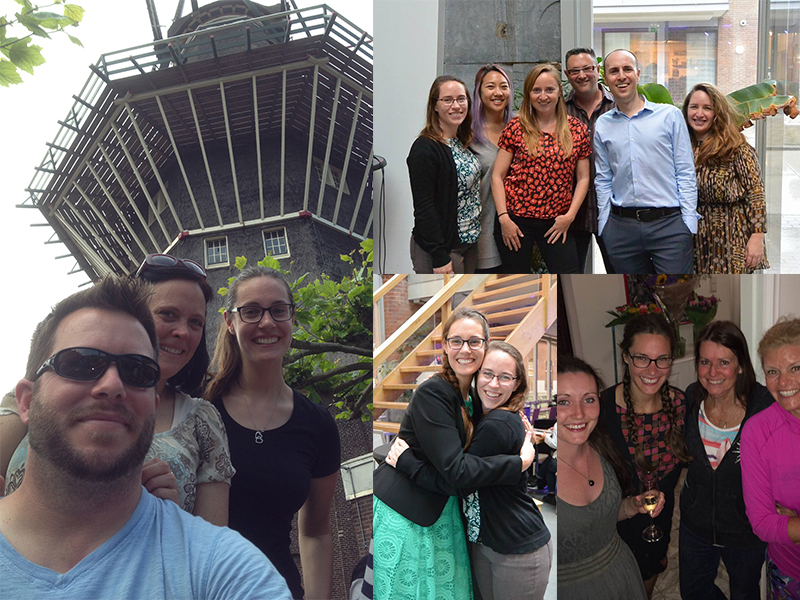 Top right: Founders Shane Dallas (@TheTravelCamel) and Savannah Grace (@Sihpromatum) with Anouk from the Grand Hotel Karel V in Utrecht. 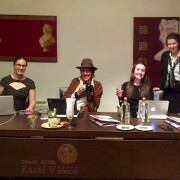 Bottom right: the #TRLT tweet meet at the Grand Hotel Karel V in Utrecht. 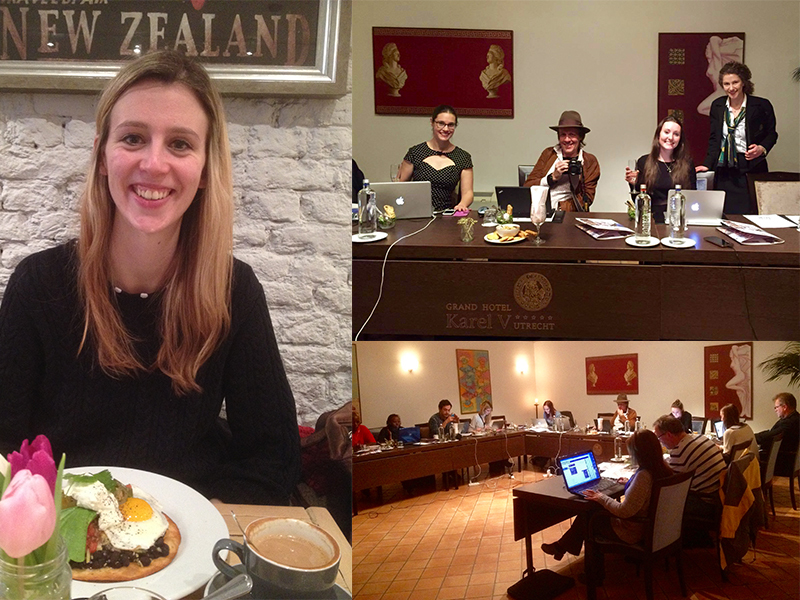 Top left: Barbara Gabriel (@StealJustOneDay) in Amsterdam. Top right: Els (@feetmeanttoroam) at Cafe Hoppe in Amsterdam. 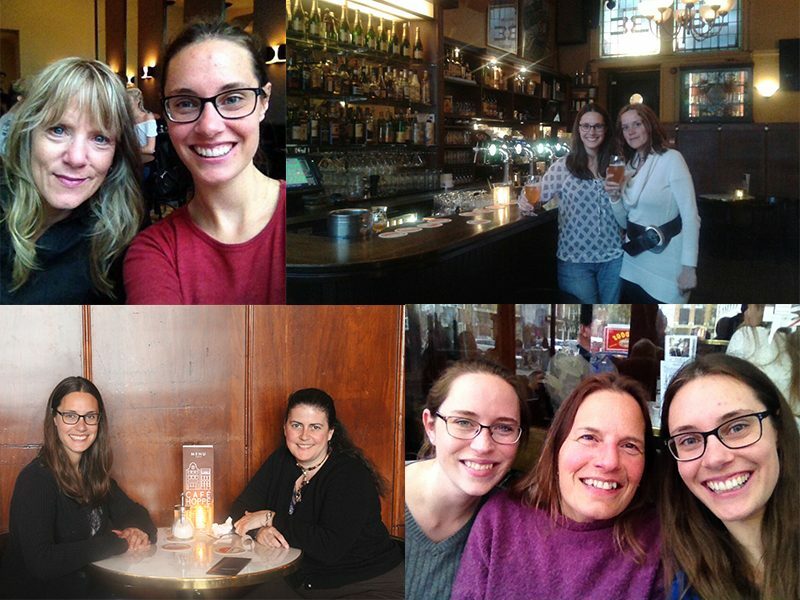 Bottom right: Jessica Cutrufello (@AWlustForLife) and Kate Jackson at Cafe Hoppe in Amsterdam. Bottom left: Vicki Mattingly (@VoyagerVicki) at Cafe Hoppe in Amsterdam. Carou Llou (@CarouLLou) and Niall Doherty (@ndoherty13) in the Vondelpark in Amsterdam. Left: Donny and Tamara of Turtles Travel (@Turtlestravel) at Brouwerij t’IJ in Amsterdam. Top right: Jessica Cutrufello (@AWlustForLife), Sarah Kim (@talesfromafork), Vicky Hampton (@AmsterdamFoodie), Jerry Goldberg (@amcallwebseries), Arnaud Wiehe (@Dutchified), and Shoshannah Hausmann (@AwesomeAmsterdam) at my book launch. Middle bottom: Jessica Cutrufello (@AWlustForLife) at my book launch. Bottom right: Savannah Grace (@Sihpromatum), Maggie Watkins, and Pamela Jane (@BlondDiplomat) in Amstelveen. 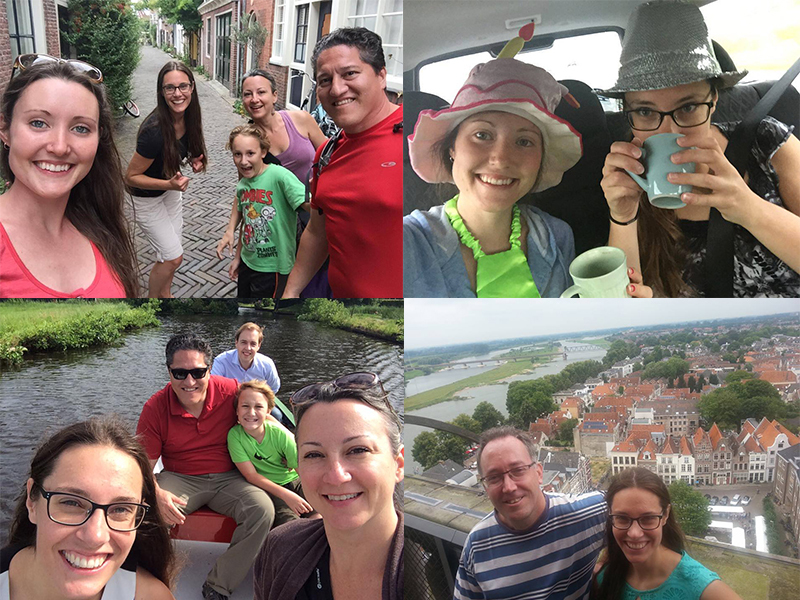 Top left: Savannah Grace (@Sihpromatum), James, Michelle, and Jason Marshall (@RTWkid and @__JasonMarshall) in Alkmaar. Top right: Savannah and Jessica in the car on a five country, one day road trip for Savannah’s birthday. Bottom right: Marcel Hovens (@Wandelgek) in Deventer. Bottom left: The Marshall family in Giethoorn. 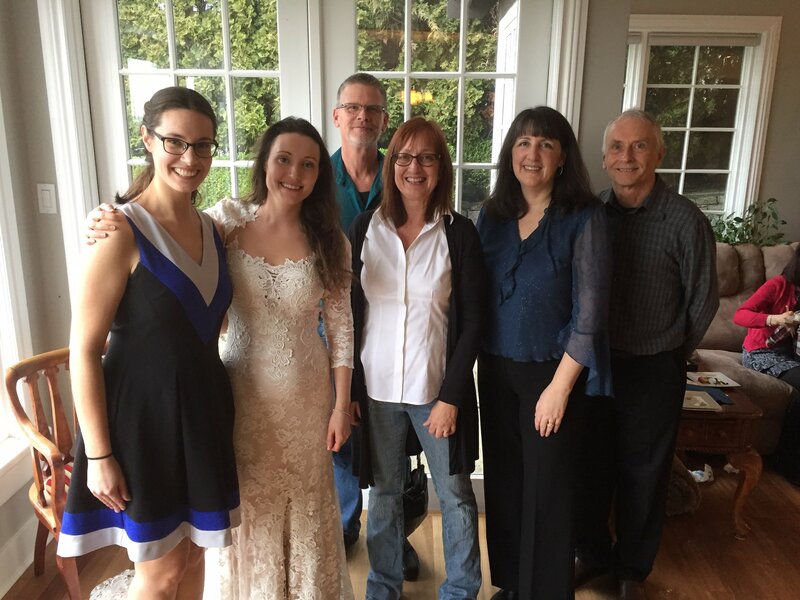 Celebrating Savannah Grace’s (@Sihpromatum) wedding and baby announcement in Vancouver with Glen, Linda (@LindaPeters64), Lori (@AirbnbSuperhost), and Darcy. 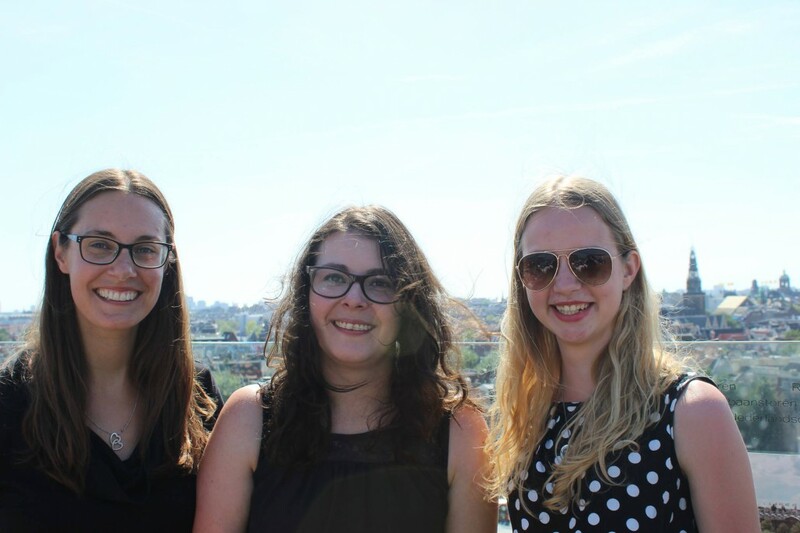 Meeting with #CultureTrav founder Nicolette Orlemans (@Nicolette_O) and long-time participant Maaike van Kuijk (@TravellousWorld) in Amsterdam. I truly have a hard time remember what my life was like before #TRLT and #CultureTrav. Thank you for being there for me. 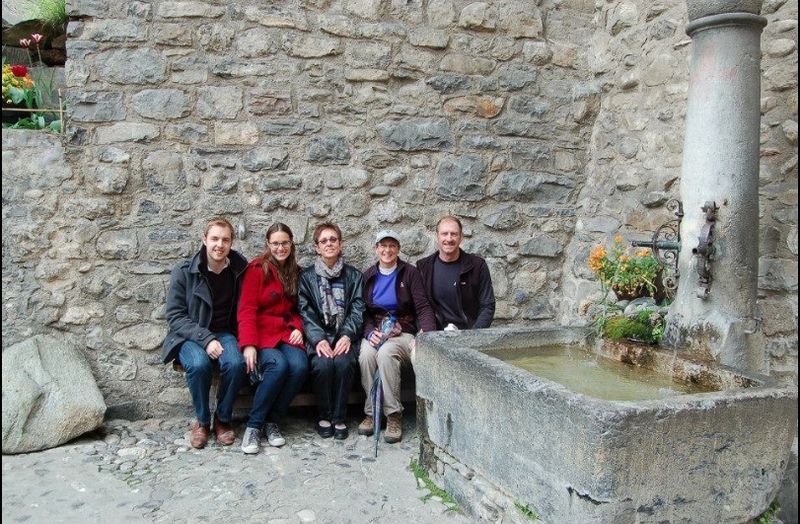 Thank you for being part of my travel family. Thank you for the inspiration. I am incredibly happy to know you all. 9 Cheap Spring Break Destinations for Travelers on a Budget What are Twitter chats and how do they work?